White shirt looks stylish, elegant and is a constant attribute of office workers. The lack of such clothes is that they quickly get dirty, and its owners often have to find a way to remove the stain from a white shirt. To keep white fabric in perfect condition for a long time, wear such clothes no more than 1 of the day, do not save light blouses in a laundry basket, but wash immediately after use. Soak the thing beforehand in a warm soapy solution or powder for several hours, wash it with your hands or in a typewriter machine, by setting the “quick wash” mode. To prevent a grayish tint on the fabric, add an optical bleach to the powder. It will give the material whiteness and relieve small stains. When the shirt is heavily worn, purchase liquid Vanish bleach, dissolve several caps in water, soak the item for 1 an hour and wash. If you want to remove the stain on the white shirt of red wine or juice, start to act as soon as possible. Remove the item, blot the blot gently with a napkin, trying not to rub the fabric. Then slightly moisten the stain with water and sprinkle liberally with salt. After 5 minutes, the salt will absorb the pollution and turn pink. Sweep it in the sink, rinse the shirt with cold water and wash it with powder. In addition, you need to stock up hoz. 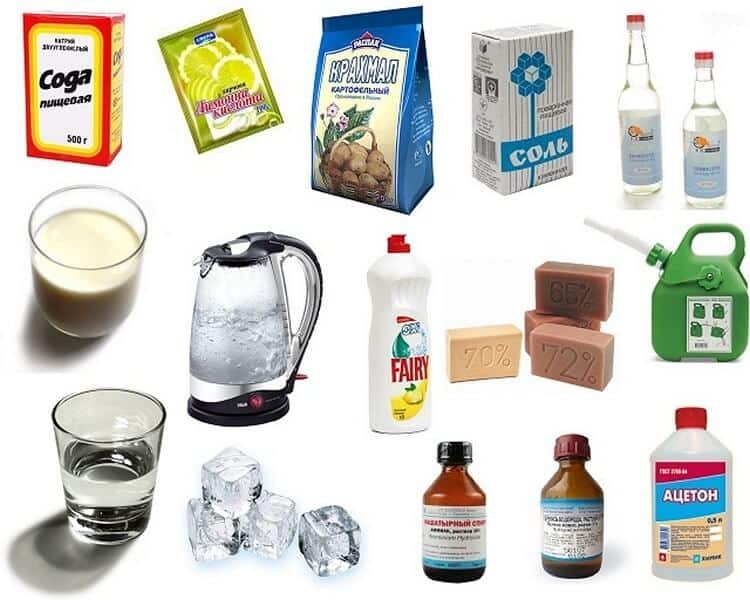 soap, good oxygen-based bleach and powder for white things. Office blouse tidy from chocolate blots can be dishwashing liquid. Treat the stained fabric with a cotton swab dipped in the product, rub gently and wash it with warm water after 10 minutes. The stain on the white shirt from the lipstick is removed with vodka. Saturate the dirt with it, starting from the edges of the stain to prevent the spread of greasy lipstick. Wait 20 minutes and wash the blouse. Drops of coffee are easy to clean with vinegar. Wet them with a wet spot several times and then wash the item in the washing machine. Oily mark with natural fabric can be removed with acetone or turpentine. In 1 tsp. solvent put a little talc and put gruel on the blot. After 10 minutes, sweep the talcum powder, and begin the wash.
How to remove the stain from the white shirt from the blood? Rinse it with ice-cold water 2-3 once, dilute the ammonia with water 1: 1 and pour on contamination. If the residual traces remain, heat the peroxide to 60 ° C, wipe the brown marks and dissolve a spoonful of vinegar in the 1 water. 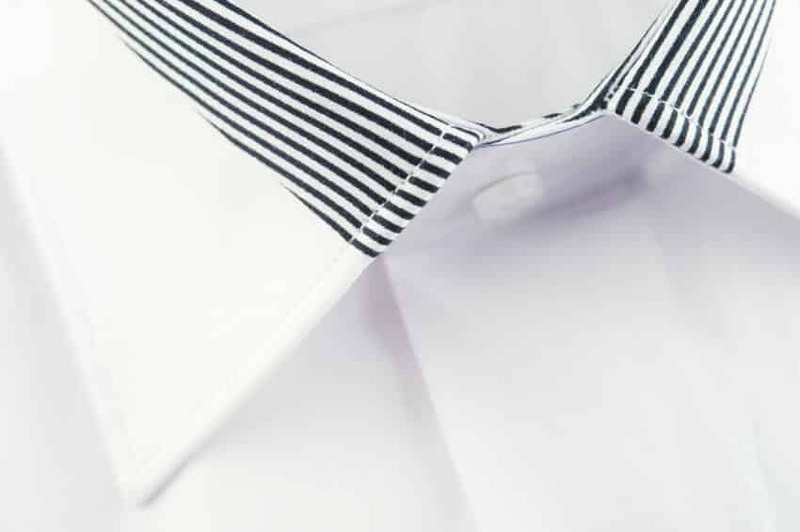 To return the crystal whiteness to cuffs and collars, prepare a special solution. Measure out the 50 ml peroxide 3%, dissolve the 2 Art. l rubbed households Soap in 50 ml of hot water and mix the ingredients. Spread on problem areas with a thick layer and do not wash off for half an hour. Do not forget to thoroughly clean the collar of small hair, skin flakes with a brush and only then apply a whitening composition. 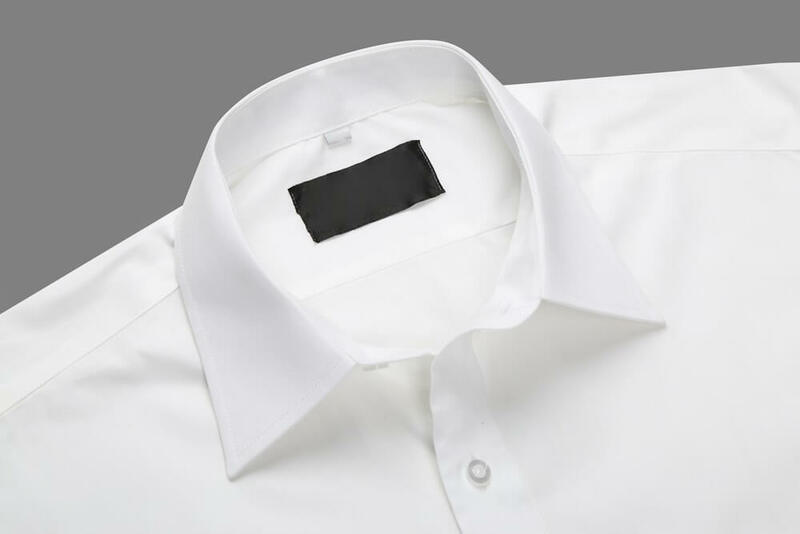 How to remove the stain from a white shirt from sweat? Lather the item with soap and set aside for 30 minutes. Dilute in a glass of water 1 tsp. oxalic acid and rub the stains with a solution. Wait for 10 minutes, rinse out the solution and stretch the blouse. Well removes sweat peroxide. Dissolve in 1 l water 1 Art. l peroxide, soak the thing for an hour and wash it with powder. If the blouse has black accents, you can clean the dark fabric from sweat with ammonia. Add when soaking 1 tsp. funds for 1 l of water, pour the powder, hold the thing in the solution for half an hour and wash it in the same water with your hands. To get rid of the old yellow spots on the blouse made of flax or cotton, buy "Persol". Stir 1 Art. l bleach in a glass of water and gently rub the stained place with liquid. After an hour, wash as usual. For better stain removal, soften the water when soaking with soda ash. To keep the white color, dry the shirts in the shade and start ironing when the material is completely dry. This will prevent the thing from forming a gray tint.